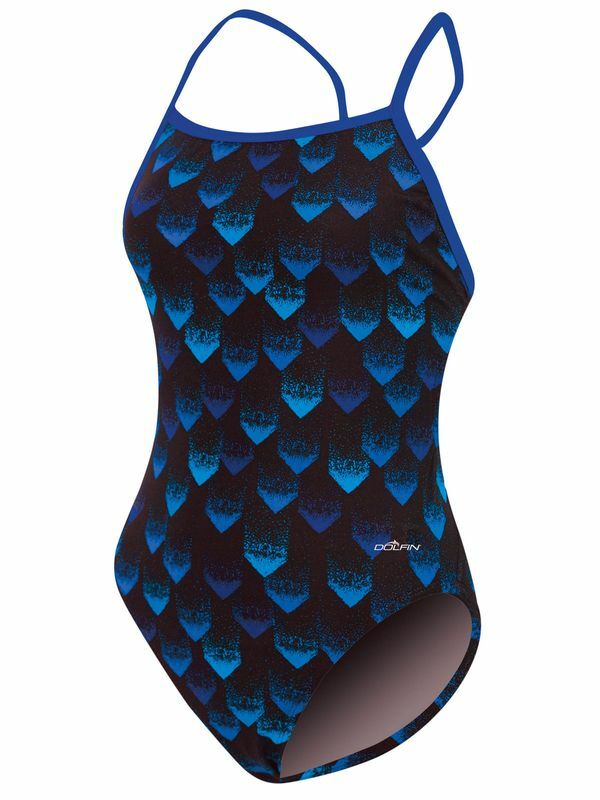 The Dolfin Tracer Blue MT Back Womens One Piece Swimsuit is black with a triangle pattern in various shades of blue. Thin blue straps that come together in the back to form an MT back design. The open back design allows for full range of movement while swimming. This swimsuit is perfect for active swimmers looking for style and functionality.